Enjoy your favorite fried snacks or foods without added calories from Hometech multi-functional air fryer. Air fryer makes it possible to enjoy healthier versions of your favorite foods by frying them with a tablespoon or less of oil. Hometech are a respected brand when it comes to various facets of kitchenware and dining practice. And from the product we are reviewing today, it is obvious that they have witnessed the upheaval in popularity of the revolutionary machine the Air Fryer. Just like so many companies before it, we see another one jumping on the success of this masterful invention as it tries to supply the market with what it needs and wants. People want to be able to enjoy delicious food, without the guilt of weight gain. This is why Hometech have designed two amazing Air Frying machines. But, what’s the best air fryer out of the two of them? 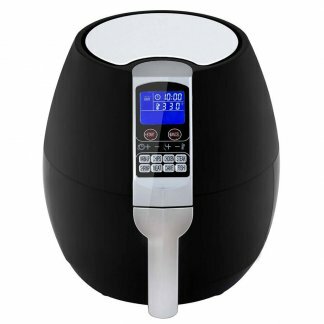 If you are looking for a small deep fryer to help make amazing foods for you or you and your partner, then this Hometech Air Fryer should definitely be within your consideration. It is not designed like some of the others that we’ve seen before, it’s structure does resemble a space ship. It has a touch screen control panel on it’s very top, allowing you to control your machine in a futuristic style. It also comes with a selection of different utensils, including a pizza pan and rottiserie. The extra utensils and instruments that you receive with the Fryer allow you to expand your catalogue of meals you can cook immediately after purchasing it. These will be great when you want to make a range of different foods, you have all the equipment you need. 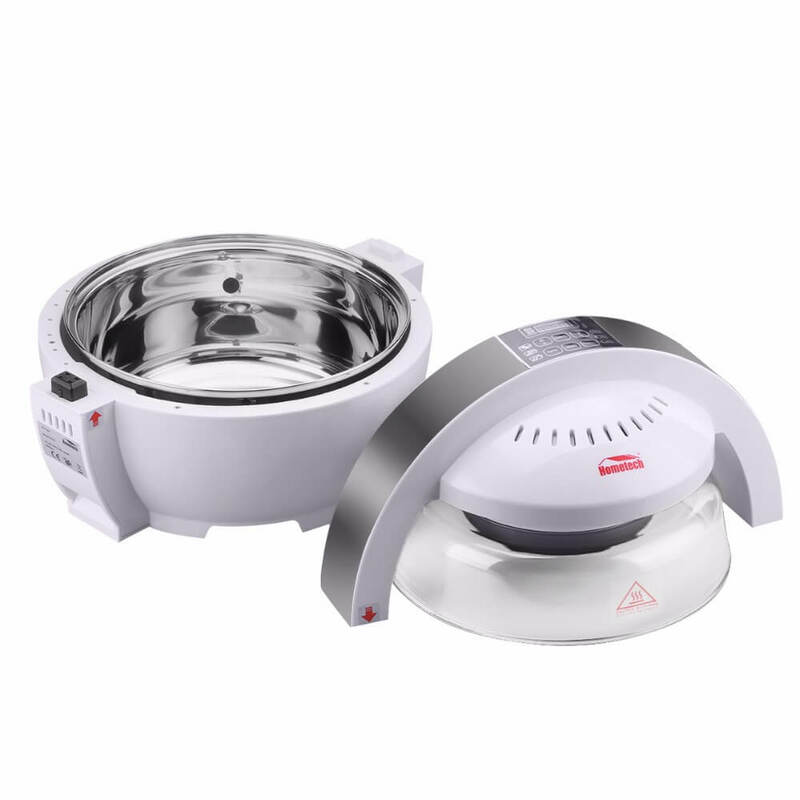 The glass bowl that the Air Fryer uses allows its user to keep a close eye on how the food is cooking which is a nice feature. 13L capacity is an impressive amount to be able to cook! A lot of people have said that it’s not as powerful as it needs to be to be relative to its size. This one is different to the previous model as it has 3.2 Quarts of space and runs on a 1500W power supply. We see many of the features of the first one here too, including a useful LCD display. This models power seems to be a lot more suited to it then the other model, ensuring that your food is cooked to perfection. This model actually has pressable buttons which some may find a lot easier to use than touch screen. Includes 8 pre-set modes for your favourite dishes. With these two models it really depends on what you are looking for. If you are looking for a bigger Air Fryer and you have a lot of money to spare, give the multi function 1500W model a go, but if you are looking for a bit of a cheaper experience that isn’t all bad, then go with the spaceship fryer. Both are very good at what they do, just be careful with the glass bowl as that seems to be the dangerous aspect of both of them.